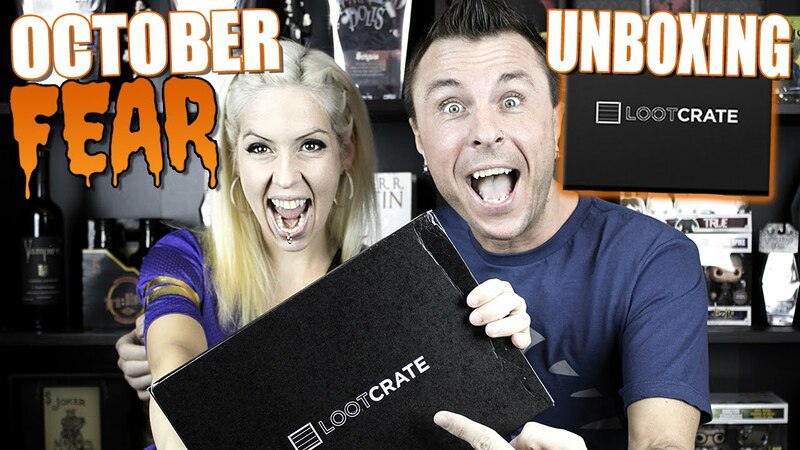 In this Loot Crate review we take a look at how Loot Crate went from a small business idea by two friends to becoming one of the biggest geek subscription boxes on the market. We also review the types and quality of items you can expect to find plus introduce some of the new spin-off boxes Loot Crate have launched in the UK to help you get your geek on! ​Loot Crate is a monthly subscription box packed full geek inspired gear, collectibles and merchandise from some of the biggest and best film, gaming and entertainment franchises in the world. Subscribers sign-up then eagerly await for the post to bring their monthly Loot Crate to reveal which mystery items are inside this months theme. ​How Much is Loot Crate? ​£20 per month for over £40 worth of geek gear. Use the code RADARLOOT to get 10% off. You can get extra discounts by paying upfront for a 3, 6 or 12 month subscription, reducing the per box price down to £17.00. ​How did Loot Crate start? Founded in 2012, Loot Crate﻿﻿ Founders, Matt Arevalo and Chris Davis came up with the idea whilst at Comic Con browsing through the huge range of geeky pop-up stalls on offer. Comic Con is geek heaven, with every major city now hosting a yearly exhibition of stands, shops and live shows from your favourite comic, film and TV shows. Instead of a yearly event, Matt and Chris thought how cool it would be to pick out the best items from events like Comic Con and deliver them in a funky themed crate to their fellow geeks every month. ​Loot Crate was born and soon took off faster than a X-Wing Starfighter, now with thousands of subscribers all over the world Loot Crate has become one of the biggest geek subscription boxes on the market. The social media went wild with proud subscribers or Looters holding up their monthly boxes. This soon caught the attention of some of the biggest media franchise, who quickly responded by inviting Loot Crate to include exclusive designed items that are not available on the high street. What's inside a Loot Crate? ​Subscribers are guaranteed to receive an exclusive t-shirt plus an additional 4-6 items ranging from tech gadgets, figurines, comics, artwork, sweets, mugs, key-chains and a mix of other geek gear. You also receive a Loot Crate magazine with information on each item, exclusive interviews people from the industry plus discounts and offers for related items. Each month is centered around a theme, past themes have included Time Travel, Invasion and Dead, which for example contained items from Deadpool and Walking Dead. The final touch is the packaging , a sturdy slick black box , which when turned inside out reveals stunning artwork to showcase the months theme. ​Loot Crate subscribers are automatically added into a monthly draw for a chance to win the Mega Crate. Picked at random the lucky Looter will receive over £1500 worth of the most wanted gadgets and geek gear on the market. Past mega crates have included limited edition consoles, 3d printers, the leather jacket from Deadpool, 4K LED TV's and much more envious gear. ​Due to the success Loot Crate have now added additional crates for you to choose from, which have been developed based on subscriber feedback and demand for more tailored boxes. Go for the Original Loot Crate if you want a good balance of geek goodies from a mix of sources or select one of the following crates which are all focused towards a particular audience. Anime and Manga fans will be pleased to see the release of the Loot Anime Crate. Past themes have included items from JoJo's Bizarre Adventure, Tokyo Ghoul and Death Note. Costing £28 per month, subscribers receive over £40 worth of Anime Loot. The recent launch of the Loot Gaming, which contained items from Assassins Creed, Halo, Zelda and Pac-Man was so popular that they had to stop taking sign-ups and put out a waiting list. This is really to allow Loot Crate a chance determine how much merchandise to buy-in based on the amount of potential subscribers, so hopefully this Crate will be available again soon, in the meantime its well worth signing up to the waiting list to avoid disappointment and receive an alert when its ready to ship. Price is £28 per month for over £40 worth of Gaming Loot. An upgraded version of the Loot Crate original, Loot Crate DX contains over £80 worth of gear for £60 per month. Subscribers receive a higher level of gear including jackets, rucksacks, caps and gadgets. A recent theme was Quest, which featured items from Zelda, Adventure time and World of Warcraft. ​Now even pets can get their geek on with this crazy box mainly focused on Dog and Cat owners. For £20 per month subscribers receive over £40 worth of geek inspired pet apparel and toys including themed clothing, collars, tags, balls, frisbees, leads, plus every crate purchased gives a £1 towards an animal welfare charity. No treats and chews are included in the UK box due to shipping restrictions but these are replaced with toys and items to the same value. Fans of the hit TV series Firefly can signup for a bi-monthly Firefly themed crate for £33 per month. Inside is 5-7 Firefly collectibles, clothing and items from the show. The items are delivered in an awesome looking cargo style crate, inspired by the Serenity vessel. Loot Crate currently have two limited edition one-off crates available Star Wars and Call of Duty. Both costing a whopping £92 , with the Star Wars crate including gear such as a BB-8 T-Shirt, Funko Pop! Darth Vader, AT-AT beanie and gloves plus a range comics and books. 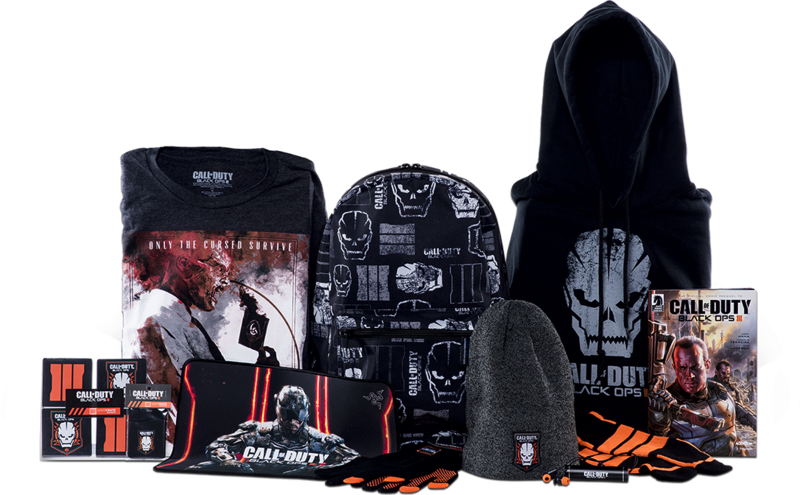 The Call of Duty Crate looks to offer better value for the £92 with a Hoodie, Backpack, T-Shirt, Hat an assortment of collectibles but overall these one-off Limited editions have not received the same positive feedback as the monthly Loot Crate subscriptions have. ​Loot Crate do keep the quality and variety at a good level each month. Just one disappointing crate could lead to an army of angry social media posts and videos resulting in subscribers quickly canceling, so its in Loot Crate's interests to make ensure every Crate is better than the last to keep subscribers happy. Loot Crate offers good value, you'd struggle to purchase the items yourself at cheaper price, plus many of the items are exclusive to Loot Crate and not available on the high-street. If you regularly like to pick up the odd geeky item or t-shirt then this can really take out the pain of going shopping or trawling through online shops, plus receiving it through the post is a great experience that you'll look forward to. Loot Crate website is quick easy to use. ​Being a US based service operating in the UK, you can expect good customer service if you ever need to chase a late delivery or replace any damaged items. On the flip side you can also expect to get plenty of promotional emails and alerts about upcoming boxes and themes, these can be useful if you want to take advantage of them but for most it can be a bit overwhelming so update your email preferences to reduce the load.